Robin is an inspector on the police force and he’s not thrilled to be called to scene at his old primary school. There aren’t a lot of happy memories for him there. Adam is a school teacher he meets there during his investigation. They’re immediately attracted to each other, and the case keeps throwing them together, but neither of them wants to compromise the investigation. I’d read a story by this author earlier in the year and enjoyed it. I was saw this book listed on NetGalley’s romance section and I thought I’d give it a try. I thought it worked well as a mystery, but was weak as a romance. Unfortunately, I’m a romance reader who enjoys a mystery now and then, not vice versa, so it didn’t work very well for me. It’s a typical large cast who-dun-it mystery. I had a bit of hard time keeping everyone straight, but I know that’s part of the mystery. I really enjoyed that Robin and Adam had a lot of chemistry but were responsible enough to keep it in their pants during the case. It was also cute how they were happy to find reasons to contact each other. 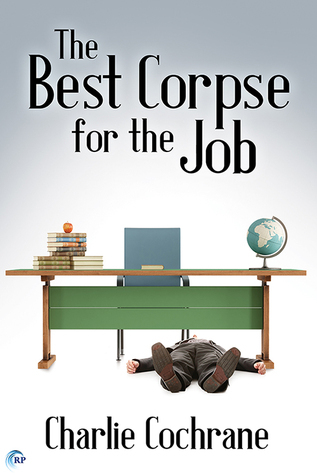 While it wasn’t a great read for me, I’d recommend it for mystery lovers. 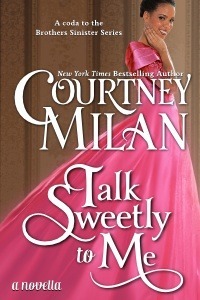 I saw “Courtney Milan” and “novella” and “mathmetics” and I was in! I have a good history reading Milan and enjoying her stories. I’m not a huge historical fan anymore, but Milan + math was enough for me. I was right, too, this story did not disappoint. Rose is a “computer,” a person who does math for a researcher. She’s a genius and really enjoys her work. She’s a bit shy and shocked to find herself attracted to her neighbor, the scandalous Stephen Shaughnessy. He’s an advice columnist and a known rake and he’s surprised to find himself falling for her. As a way to spend more time with her, he manipulates her into giving him math lessons. This leads to some incredible math innuendo! Stephen and Rose are wonderful characters. I was pleasantly surprised that the Rose is black! That was new for me in a historical. Stephen is white. He seems untroubled by their differences, but Stephen is not a worrier by nature, and he’s not experienced the discrimination that Rose is used to, both for her gender and her race. Rose is very intelligent and comfortable with it. Stephen is entranced by her and her abilities. He appears to be quite shallow, and as it turns out, he has a pretty light hearted approach to life, and he doesn’t feel bad about that. It’s who he is. It does turn out to be an obstacle between him and Rose, though. He’ll have to convince her that he’s serious about her. This was a wonderful historical novella, and I highly recommend it to historical or math lovers. I think it’s the very first historical nerd-mance I’ve read! And the math jokes abound and are awesome! I will say, despite the cover, it’s not a ballroom and opera historical. Stephen and Rose are solidly middle class. It’s a great story, though! This is the last installment in the Brothers Sinister series. I haven’t read any of the others, and I still loved this one, so jump right in! I only read historical romance occasionally. How about you? Do you enjoy historicals? If so, do you prefer ballrooms and opera? Pioneer America? Medieval? What’s your favorite?